Not only is our team talented, but they’re also innovative, dedicated, dynamic, and fun. The evidence is in our innovative mobile apps, continuous collaboration, numerous overtime hours, and video game tournaments during lunch breaks. The awards took place in downtown Toronto on December 6, 2011. 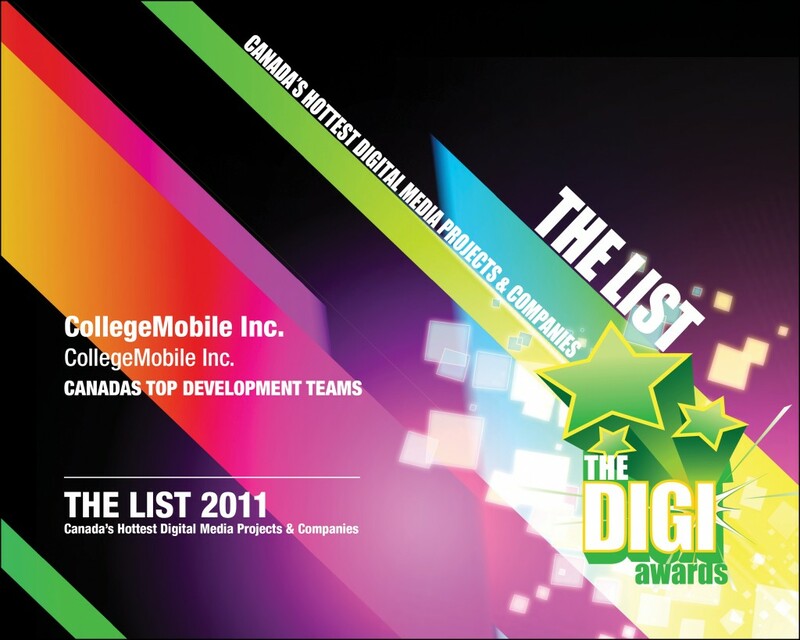 CollegeMobile, alongside Noodlecake Studios, proudly represented Saskatchewan digital media at this prestigious event. It’s very exciting that our province is being recognized as having some of the most talented development teams – especially since we are one of them! Our team would like to congratulate all of the Digi Award winners on their success and exceptional work in the Canadian digital industry.